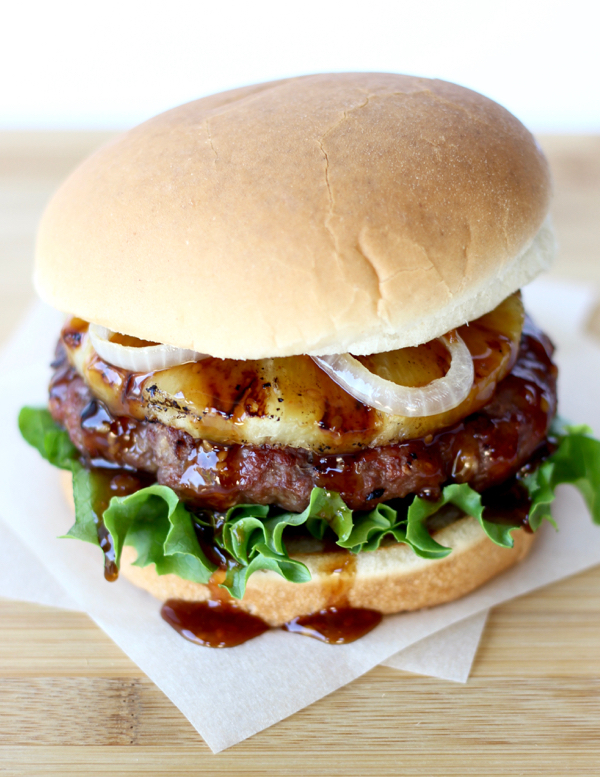 Give your family Teriyaki infused goodness with this Easy Teriyaki Burger Recipe! Mix your Egg, Teriyaki sauce and crushed Saltines in a large bowl. Add your Lean Ground Beef to bowl and mix with your fingers. Grill your burgers for 6 minutes on each side at 350 – 400 degrees, or until done. Lightly grill your Pineapple slices at the same time. To grill or to not grill your buns?? Your Choice!! I love to add some butter to the inside of the buns, and grill them just until a little toasty. Build your burgers… bun, burger, pineapple, a drizzle of Teriyaki sauce, optional grilled onions, lettuce, tomato and Swiss cheese, and ENJOY! !